Home News	Le Huffington Post: hit or miss? Media mogul Arianna Huffington added the province of Quebec to her online empire last Wednesday, and the 10 bloggers who defected from her ranks shortly before the launch of Huffington Post Quebec did not make her budge. 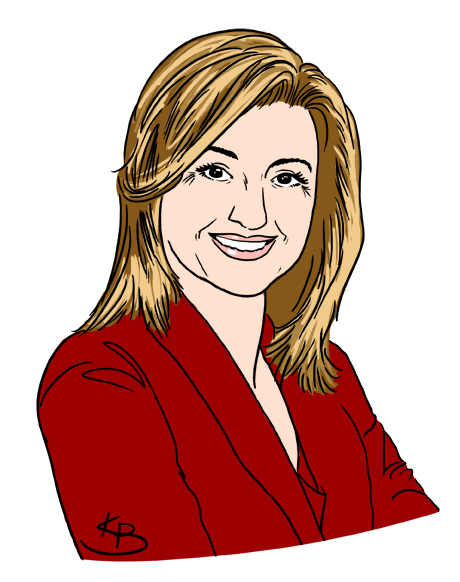 Almost a year after starting her first international edition in Canada and less than a month after the creation of Huffington Post France, Arianna Huffington is looking to take La Belle Province by storm with an edition that will offer the same type of Internet news and blog aggregating, with content provided exclusively in French. Huffington hopes to see results as promising as the English-Canadian version that attracts 1.8 millions visitors per month and offers posts from bloggers such as David Suzuki and Conrad Black. As successful as it is however, the Huffington Post is continuously facing controversy. Despite selling her website to AOL for $315 million in 2011, Huffington’s success is still made out of the work of more than 9,000 bloggers she does not pay. One of them is suing her on their behalf for $105 million. Huffington addressed the growing concerns surrounding unpaid bloggers during a press conference to mark HuffPost Quebec’s launch at the Gault Hotel in Old Montreal last Wednesday. Huffington went on to compare blogging for the Huffington Post to tweeting or posting on Facebook. “The HuffPost provides the same type of distribution service,” she said. Out of the 135 bloggers who were originally supposed to write for Huffington Post Quebec, 10 have so far retracted their offer. Some of them are prominent Quebec figures like MNA and former Parti Québécois member Pierre Curzi, Montreal city hall opposition leader and councillor Louise Harel, and Québec Solidaire spokesperson Amir Khadir. Normand Baillargeon, an education professor at Université du Québec à Montréal who also defected from HuffPost Québec, explained that in his case he was not familiar with the Huffington Post before agreeing to write for them. Khadir’s press officer went on to say that the Huffington Post’s business model had a negative impact on journalism as it would result in less paid jobs for aspiring journalists. Linda Kay, chair of Concordia’s journalism department, agreed with Huffington’s argument. Kay added that even if Huffington shared her profits with bloggers, the concept for the website was hers and it was up to her to do what she wished with the financial success that ensued. Jean-Philippe Warren, research chair for the study of Quebec and the only Concordia professor said to be writing for HuffPost Québec so far, also supported the HuffPost’s media platform. During the press conference, Huffington promised local coverage that would reflect Quebec’s political and cultural uniqueness, and assured total transparency, notably on bloggers’ political inclinations. She also told the press she was already looking into expanding the Huffington Post furthermore, referring to an agreement being currently negotiated with the Qatar-based Arabic news channel Al Jazeera.